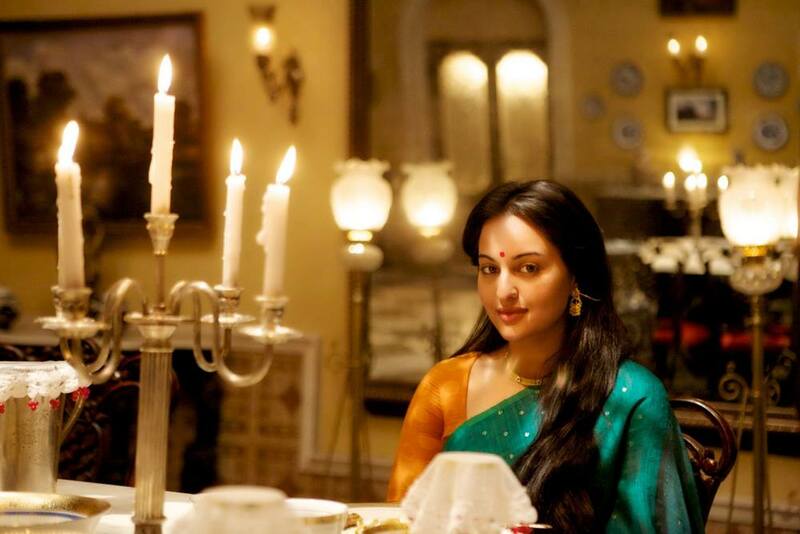 I had virtually zero expectations from this week’s big release Lootera. I haven’t yet seen Vikramaditya Motwane’s much acclaimed Udaan, have never warmed to Ranveer Singh whether it was in his hyper act in Band Baaja Baarat or as a ladies man in Ladies Vs Ricky Bahl. Sonakshi Sinha, is an actress who's always played it safe, but she does have a certain Indian appeal which sets her apart from the rest of B Town's plastic brigade. These factors coupled with the fact that it was impossible to imagine the two leads in what seemed like a subtle period romance had left me with no hope or interest in the film. Needless to add, I was surprised – and how. The poignancy, the old world charm, the lilting tunes of a bygone era and some superlative performances by the film's two young leads left me choking with emotion at what can be described as one of the better films of the year. 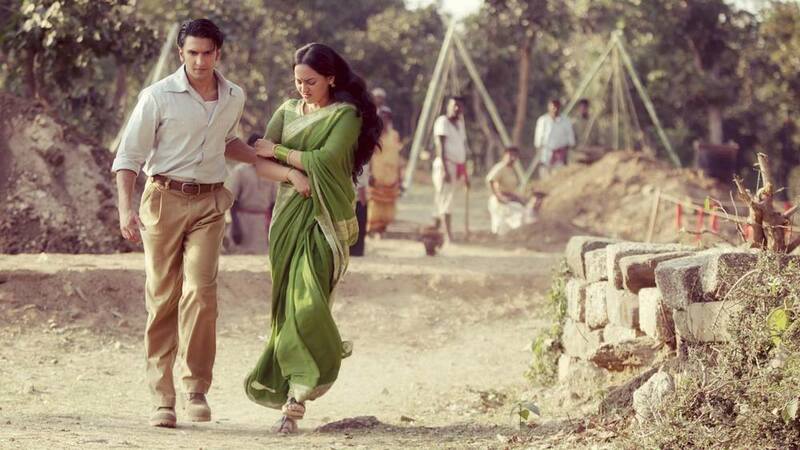 Lootera has its flaws and is by no means a massy film, but for those of us that have had our fill of staple Bollywood fodder, Motwane’s second film comes like a breath of fresh air. The film is set in 1953 where an ailing Pakhi (Sinha) lives a sheltered existence with her aristocratic and wealthy ‘Zamindar’ father. Their idyllic existence is shaken up when an archaeologist, Varun (Singh), enters the scene seeking help from the Zamindar with a letter from the Archaeological Society of India. With his remarkable knowledge of books and music, and expertise in his own field, Varun impresses both the father and especially his daughter who falls for the stranger's charms. As love blossoms between the two, Varun asks the Zamindar for Pakhi’s hand in marriage, and after an initial reluctance the Zamindar finally relents to their union. All is not what it seems though, and even as the bride is being readied for her impending engagement, Varun mysteriously vanishes overnight leaving Pakhi distraught and heartbroken. She turns reclusive and struggles to move on after both her heart having been broken and the subsequent death of her father. As fate would have it, the former lovers reunite a year later in very unfortunate and heartbreaking circumstances, and what happens from there on forms the crux of the story. Lootera is based on author O. Henry's 1907 short story The Last Leaf, and it’s apparent from the very initial reels themselves that the culmination of this romance is going to be anything but positive. Yet despite that you’re drawn to the love story because of the undeniable chemistry between the lead pair and the unusual way in which Motwane tells the story. The film’s major trump card is that it never resorts to melodrama to get its point across and scores majorly for having its heart in the right place. All of the film’s principle players from Ranveer and Sonakshi, to Vikramaditya and Balaji need to be commended for attempting to do something outside of the box and for not resorting to gimmicks to appease both the masses and the box office. Visually the film stuns with its detail. The frames, the setting (Dalhousie, Bengal), the cinematography has been done with utmost care and is one of Lootera’s triumphs. The film’s music has charm and melody and full credit to Amit Trivedi for rising to the challenge of attempting to create music from a bygone era. Above all though, the film scores because of its sterling performances. Not just the lead pair, but the character artists too make an impact in their small yet significant parts. Special mention must be made of both Vikrant Massey as Varun’s over protective friend Devdas, and Adil Hussain as Inspector K N Singh. Ranveer Singh comes into his own. He is as charming as ever and is hands down a star to watch out for in the near future. He plays it just right with his brooding intensity and never once goes overboard. But it is Sonakshi Sinha to whom this film belongs. It would be safe to say that with Lootera, the actress has arrived and how. She makes the most of her first well etched character and goes through a gamut of emotions with impeccable sincerity, making it by far her best work till date. The film is not without its flaws though. Motwane has been indulgent with its length and could have trimmed it down by at least 15 minutes. At times, some of the character’s motives seem unclear and it never quite comes to light how a feisty, independent girl like Pakhi falls so quickly for a man with clearly dubious intentions, and why she becomes a moping mess as a result of him. It’s never quite clear whether her fascination for Varun is based on true love or just sheer lust. And it has to be said that even though both Ranveer and Sonakshi pour their hearts into their parts, one can't help but feel that slightly more establiahed actors would have maybe, just maybe, been a little more effective and taken their characters further down the river of emotion. I’m going with a slightly generous four stars for this one. Lootera springs a pleasant surprise – a rare gem, albeit a flawed one, that deserves at least a single viewing.